Full Description: A Belgian colour postcard, divided rear, postally-used, with printers' details 1470 - 4. 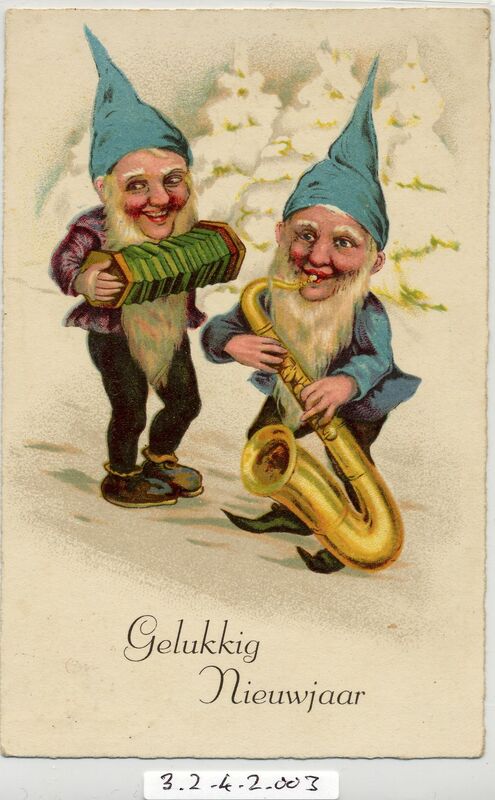 The image is of two pointy-hatted gnomes in a snowy scene, the one playing a green German concertina, the other holding a saxophone as big as he is! Wording is "Gelukkig� Nieeuwjaar".